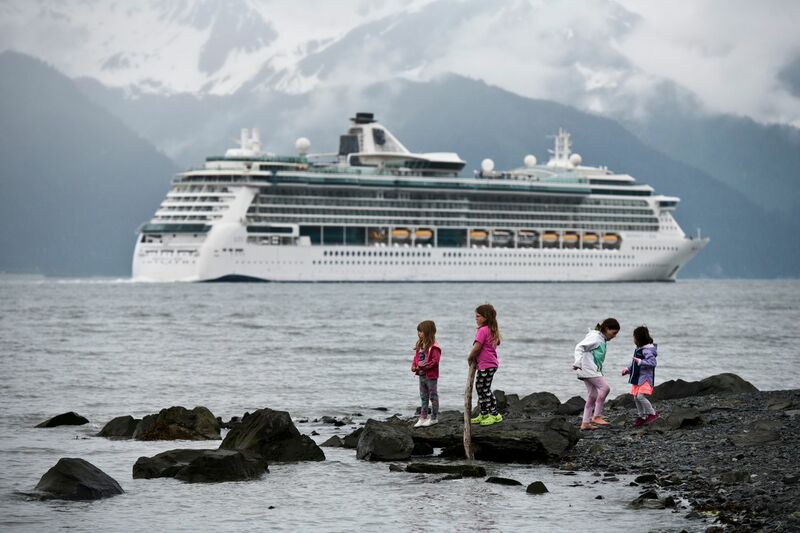 Seward's population booms in summer when the campers come. The Kenai Peninsula comes alive during summer. Tourists, fishermen, seasonal workers and year-round residents share highways and harbors from Homer to Seward. ADN's Tegan Hanlon and Marc Lester recently spent a week meeting some of the people who make the Peninsula unique. Over the next few days, we'll be publishing more than 20 of their stories. 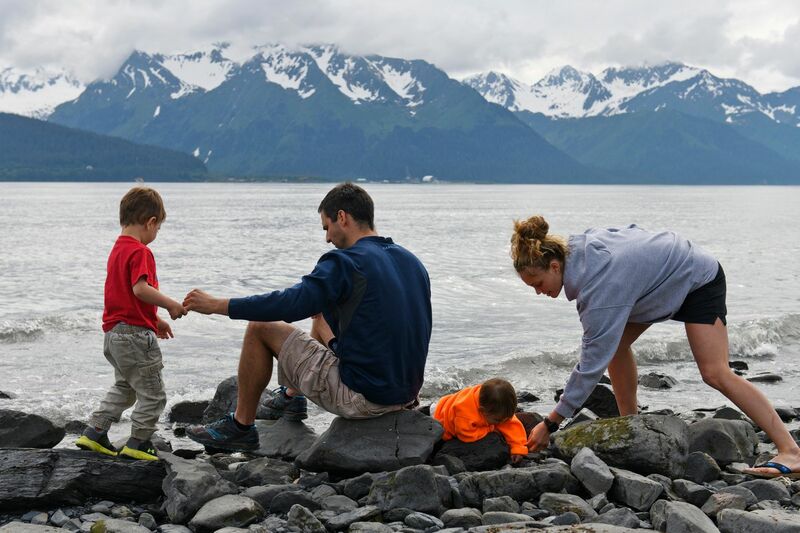 SEWARD — This scenic city of about 2,700 year-round residents comes alive in the summer. 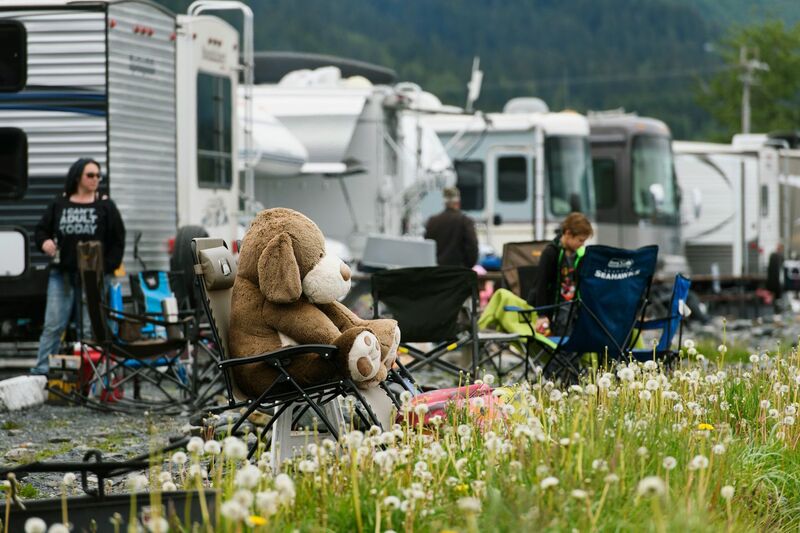 Tens of thousands of campers cycle through, transforming seaside campgrounds into tiny, temporary communities with hundreds of tents and RVs. All kinds of people crowd the area, drawn for all kinds of reasons. Tim Foster's cancer diagnosis changed his priorities. "That's a real eye-opener," said Foster, a longtime Alaska resident. "When you think you're invincible all your life and then someone tells you you have cancer. You think, 'How can that be?'" Foster underwent a radical prostatectomy. Then he started spending more time outside. He had retired about 10 years earlier from a 30-year-career at Ted Stevens Anchorage International Airport where he worked as the chief of airport safety. "I wasn't enjoying Alaska as much as I should have," he said. Foster decided to return to Seward for the summers. As a child, his parents had taken him to the same shores to fish and camp. When he became a parent himself, he brought his children here to do the same. 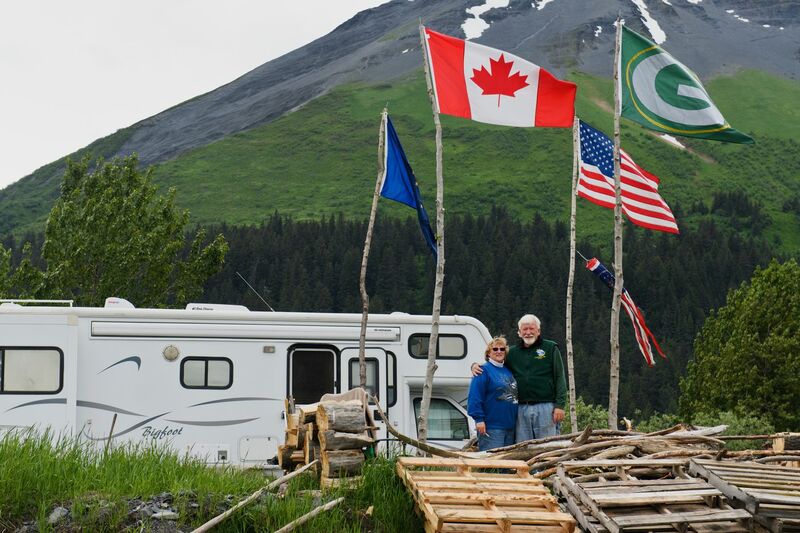 Then two years ago, Foster took a job as one of Seward's volunteer campground hosts. 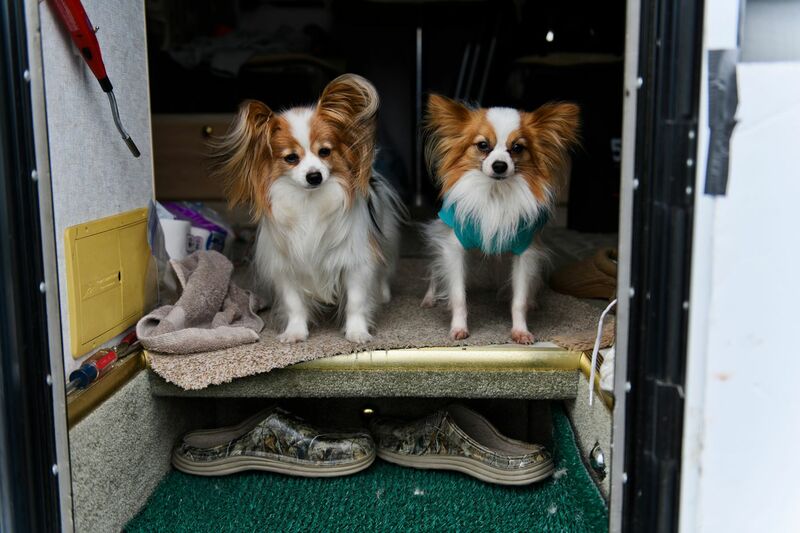 He stays in his RV with his two Papillons, Angel and Tré, from May to September. He oversees the 50 or so RV spots in his area. "We meet so many nice people," he said. "We get people from Europe, from Asia, New Zealand, Australia, Germany, France — you name it, they've come here." In front of Foster's RV, two handmade benches flank a steel fire pit, just across a walkway from the rocky beaches of Resurrection Bay. He has also set up tall pieces of driftwood with flags for the United States, Canada, Alaska and the Green Bay Packers. "This is my living room," Foster said. "The whales are here. The sea lions come in." Compared to his job in airport management, he said, the gig as a campground host "is a cakewalk." There's no real drama or fights or rowdiness. The biggest commotion he remembers is the time a very large sea otter meandered out of the water, drawing a big crowd. "This guy would come out like he owned the entire beach," he said. "You never know what you're going to see here." Gene Smith keeps his plans pretty loose. That's the beauty of having time and an RV, he said. He might occasionally make a campground reservation a day in advance, but he has a generator and can make do on his own. If he isn't impressed with the RV park or isn't fond of his neighbors, he simply moves along. "I have a general idea where I want to go, but as far as dates or anything like that? No," he said. Smith, from Montara, California, retired from a career with Xerox when he was 58. Now 74, he camps as much as possible in a 35-foot fifth-wheel. Last year he circled the Lower 48, with stops in Texas, Maine, Michigan and North Dakota. He and his wife of 40 years have been working their way north since April, pausing to visit his kids, his grandkids and his great-grandkid. Sometimes they worry about him, but he's got a cellphone with good coverage. He keeps in touch. This is his first visit to Alaska, and the scenery has impressed him. Restaurant costs? Not so much. "Your RV parks are not bad, but your food prices … You go out to get a hamburger and it starts at $14," he said as he worked on fixing a flat bicycle tire. "Give me a break." Smith achieved a life goal on this visit to Alaska: He walked on a glacier. In future travels, he wants to experience a technology he thinks might allow older people to retain some independence when the day comes that they no longer drive. Smith said he'll be happy if he can keep his RV travel up for another six or seven years. His next stop was Homer. You could hear them before you could see them. Julie Morris, 29, and Rachel Mulvihill, 30, erupted into laughter while tucked into the back of an SUV. The friends, who live in the Seattle area, couldn't find an affordable RV to rent for just one night, so they did the best with what they had: a Ford Escape and the decor from Morris' childhood home in Wasilla. 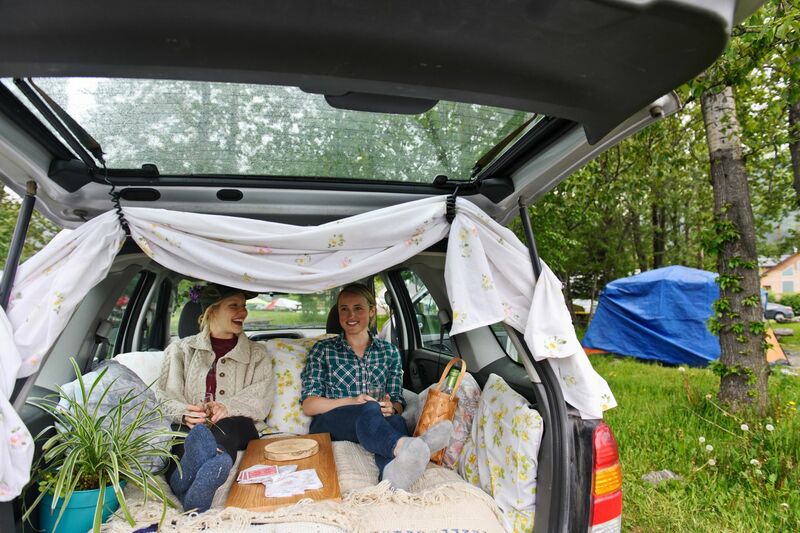 "We wanted to rent a camper van but there's a three-night minimum, so we turned her car into an ironic camper van," Mulvihill said as she reclined on a partially deflated air mattress. Morris and Mulvihill were on a five-day trip to Alaska, where Morris grew up. They drove to Seward that morning to hike Mount Marathon, but rain derailed their plans. They went to Exit Glacier instead and now had more time in their makeshift RV that, with its trunk open, had a view of Resurrection Bay. The women's laughter continued as they gave a tour of their temporary home. The house plant. The warm bottle of white wine in the tall wooden basket. The shelf that doubled as a card table. The sheet that doubled as a curtain. Every throw pillow Morris' parents own. "We were hoping to find some macrame that we could dangle outside," Mulvihill said. "But this is all we've got." Cindy caught Larry's eye when she worked with his sister. Larry used to come around to visit. "Maybe I should go over there a little more often," he remembered thinking. Eventually, his sister made the introduction. "We were at Costco," Cindy said. "I met him by the beef jerky." On a recent morning, the couple walked through Seward's RV campground together with matching coffee mugs. 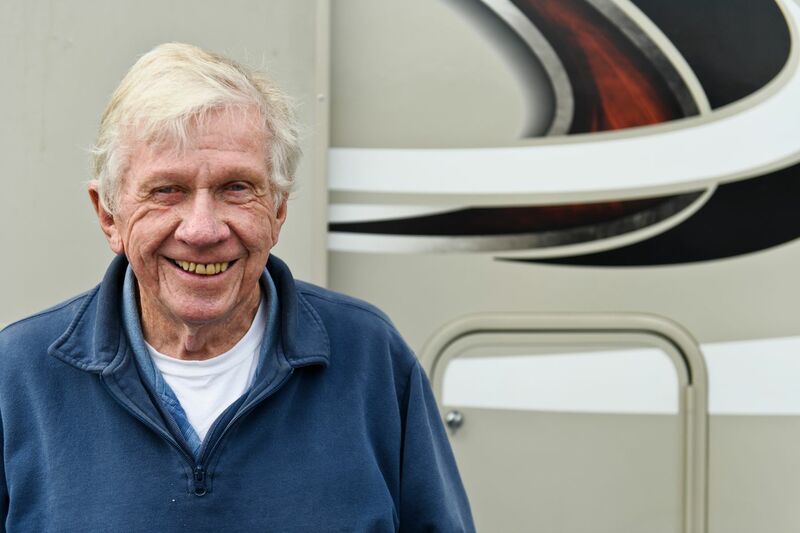 Larry has been an RV camper for 20 years, he said. 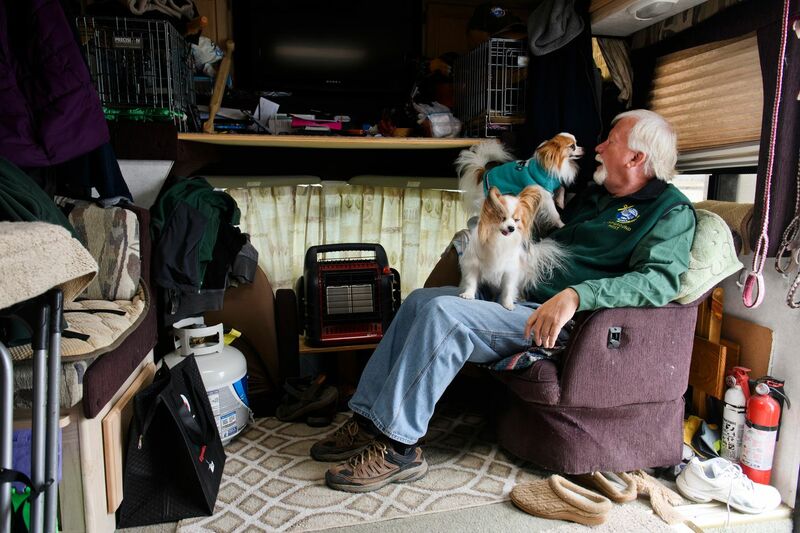 "I was kind of a tent camper until I met him," Cindy said. "Now I kind of like my amenities." Often strangers stop to chat when they're sitting by a campfire on the Seward beach. Sometimes those strangers become friends when they return night after night to swap stories. The couple from Palmer sold their camper last spring, but it wasn't long before they craved another one. "We wanted something a little different, a little bigger, to have a couch to socialize with," Larry said. Ryan Shaver had to wait for it, but he and his family eventually scored what he called the best RV spot in Alaska. They had spent the previous evening farther inland hoping a waterfront spot like this would open up. "I guess that's why you have an RV," he said. "You can sleep anywhere." Ryan and Jessica Shaver met in pharmacy school in North Carolina. 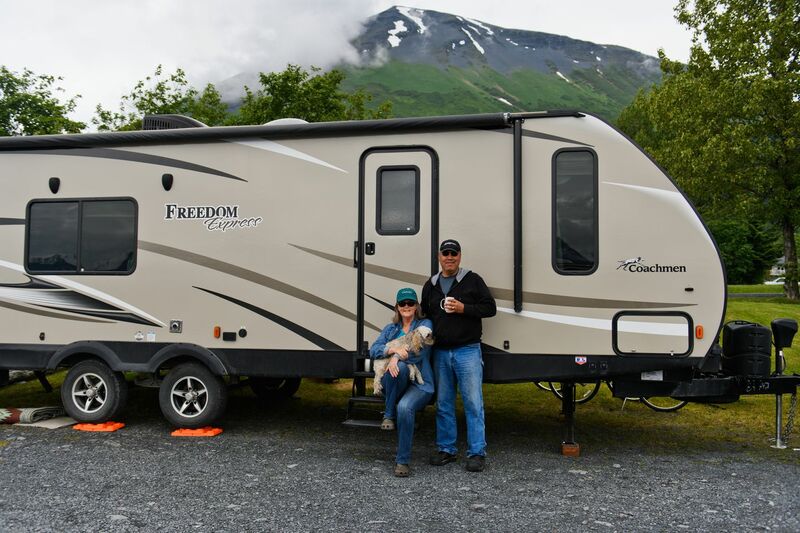 They bought their RV for their move from Texas to Anchorage so Ryan could take an Air Force job at the hospital on Joint Base Elmendorf-Richardson. They took 30 days to make the trip, winding through Canada on the way. 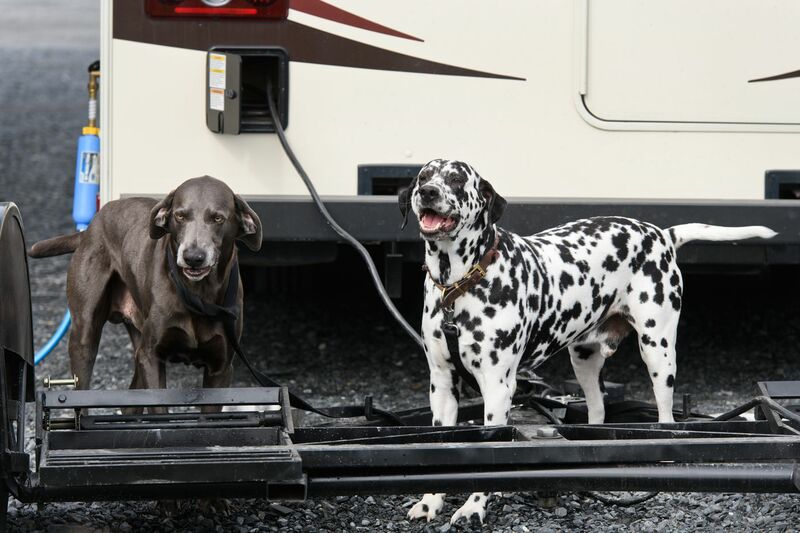 Nowadays, trips in the RV include their kids, Liam, 3, and Rinette, 1, and their two dogs, Geppetto, a Dalmatian, and Ali Bears, a Weimaraner. Jessica said Liam's ears perk up whenever there's talk of a family RV road trip. "He knows that he's going to get s'mores at night," she said.